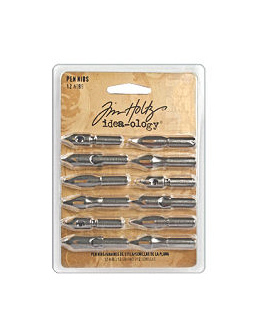 This package contains twelve (12) Pen Nibs. Use them to embellish any of your Projects to add that Industrial / Steampunk Flair. Product by Idea-ology / Tim Holtz.